Strangely enough it all began in a classroom! I had just finished teaching the Grade 9 class anatomy with regards to the various organs of the body and their function. Our classrooms are extremely hot under a tin roof, and the students struggle to concentrate at the best of times. Not to mention the fact that most speak NO English at all and comprehend only a fraction of what’s being said. I really wished I had the luxury of Plasma TV screens and projectors, like when we taught in Korea. However there was no such luxuries here. 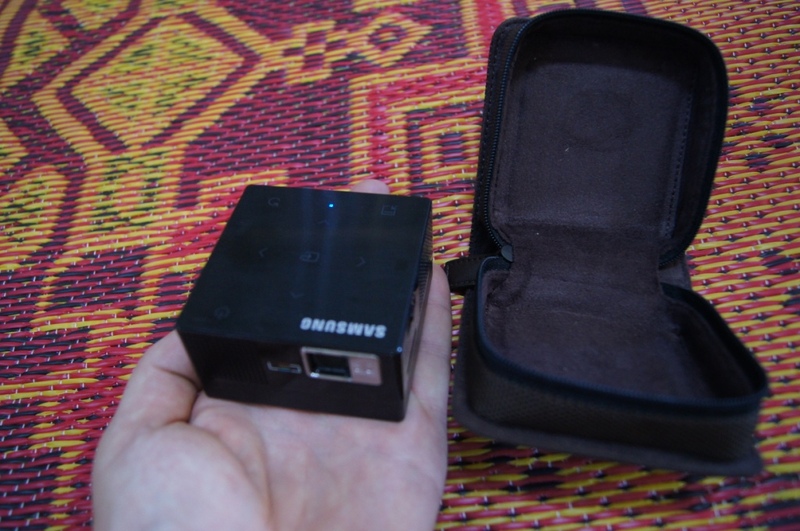 I was discussing my predicament with Travis, one of our translators, and he mentioned to me that they have a very small projector which might assist me in teaching. 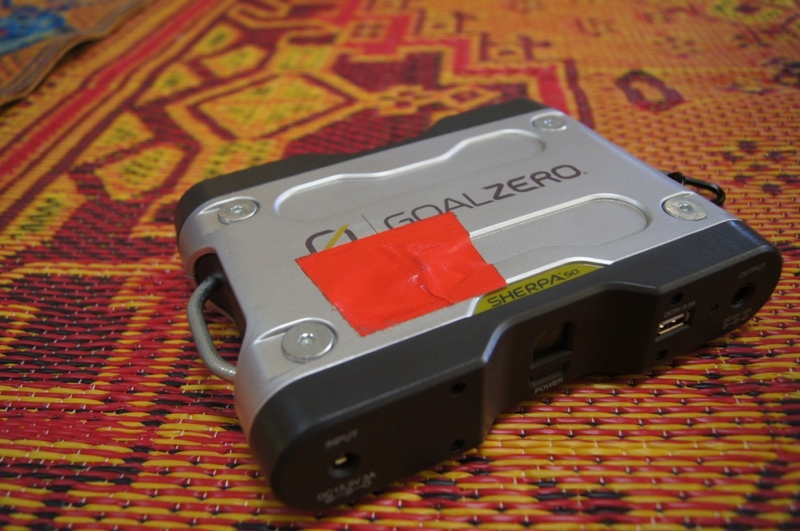 It comes in a full back-pack kit, along with battery back-ups and solar panels for use in remote places. We were somewhat concerned as to the brightness of the projector as it looked extremely small . . . We connected everything up and were pleasantly surprised at the bright picture it gave. Travis was just to happy to let me use it, as it was originally purchased for missions work! While chatting to Travis. he said that he really wished their was a way that the projector could be put to better use. Immediately it got me thinking . . . .
A little while back we were donated an ultralight plane. We were all wondering what plans the Lord had in mind for the use of such a plane. It was then that the idea came to mind. What we needed was a Bible Study presentation in the Karen language of the people, and we need to use the plane to fly to remote villages to spread the gospel to all the remote areas. It suddenly all made sense! That was why God had sent the plane to us just a few short weeks earlier. I chatted about the idea with the Sharon family, and they were in full agreement that that was what the plane should be used for. “Wings for Christ” was ready for lift-off! Before I share with you more about the plane and the project, I would like to show you a very neat package which was donated to us. The projector . . . The projector comes in a very neat package. When you first look at the bag you expect to see a huge projector, but looks can be deceiving. 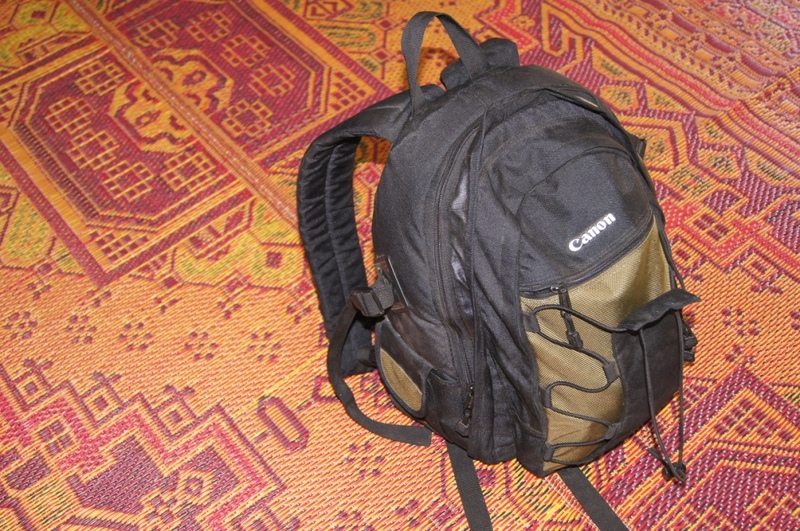 This small back-pack contains EVERYTHING you could possibly need in the jungle, in order to give a power point presentation. I will take you through the contents of this bag piece by piece. It’s an absolutely wonderful concept. Let’s have a look inside. It’s smaller than the size of my hand and has a built in speaker, and internal memory. 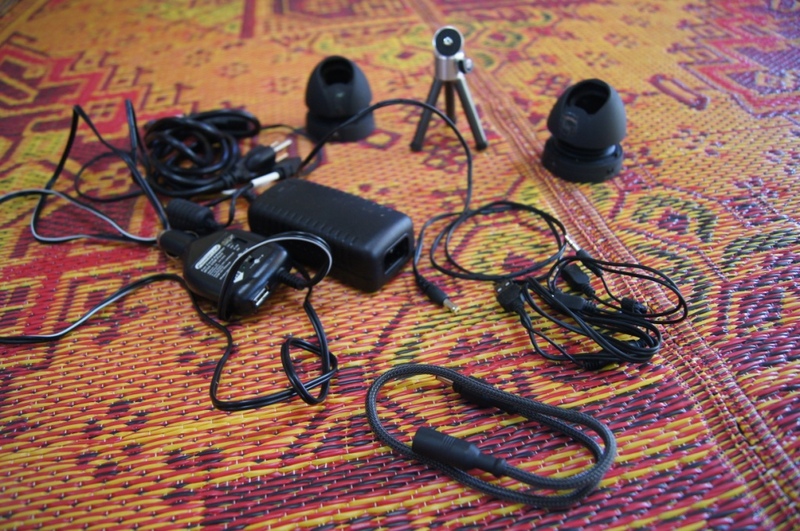 It also has a built in battery which will easily give you over an hour of use before re-charging. There is also a slot for an external memory card for additional storage. A real power-pack! In the kit is a separate battery pack, which can be charged from mains, 12 volt or solar power. Yip – SOLAR POWER! It will run for 24hrs and has facilities for an external light bulb to be plugged into it as well. It also has an LED indicator to show battery strength. 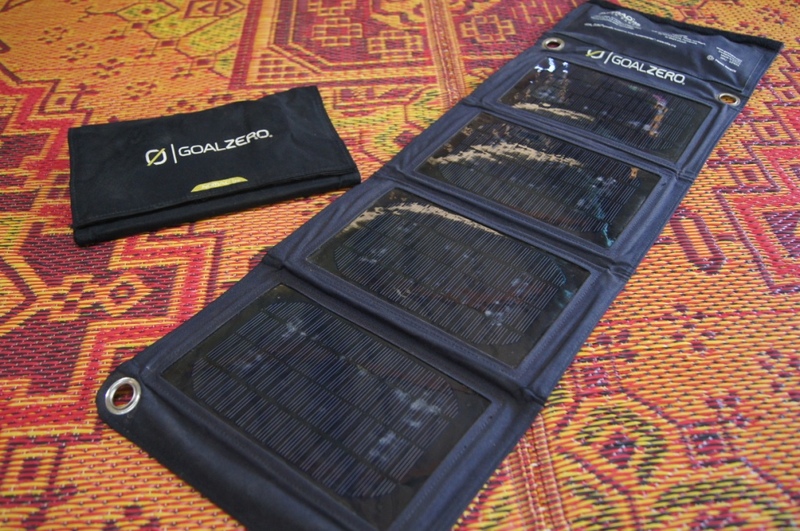 The kit includes a neat fold out solar panel system which re-charges the battery. It will take about a day to recharge the battery pack, but in the jungles there is usually plenty of sunshine. In the inside pockets of the bag you will find every conceivable cable you can think of. You can charge from just about any power source including your car battery. This neat kit is ready to go anywhere! Currently I am borrowing this kit, but we are praying that the Lord will provide for a second kit. A typical slide show presentation which any speaker can use to give a Bible study with. The same slide show with audio facilities included. Should you not be able to give a Bible study in the Karen language, you would now be able to just click on the audio symbol in each slide and an audio presentation will be heard. The third option will be to watch a full movie clip for each Bible study. This can be used for screening to large public audiences. I will be doing the script writing and directing the project and Travis will be in charge of the final translation into Karen. Once completed the entire project will be stored on an external memory card which will be plugged into the projector. We then intend on constructing a huge screen out of light weight PVC piping and cloth, which is easily transportable on a plane. 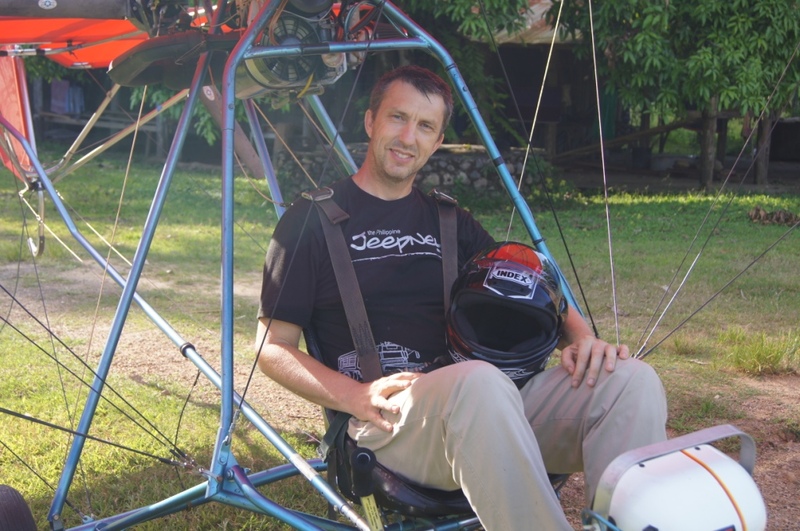 The biggest challenge when flying an ultralight is the weight! It is critical to keep the weight down to a bare minimum. With the projector and a screen we should be able to visit just about any village with sufficient landing space. (We would need only about 60 meters for landing). We intend on not only doing Bible studies but to run a health program in conjunction with each Bible study, every night. This way we will be able to give a complete Bible study along with the health message. The challenge is to present a Bible study to a group of people who have never even heard of Christ before! All the conventional Bible studies are aimed at people who have some idea of who Christ is. However many of the Karen have never even heard of Christ, or they have a totally different concept as to who He is. We ask for prayer and guidance as these studies go out to a needy people. It’s a beautiful big red bird, donated by someone in America, and shipped to Thailand. Just to get all the paperwork and custom payments made was a real challenge on its own. 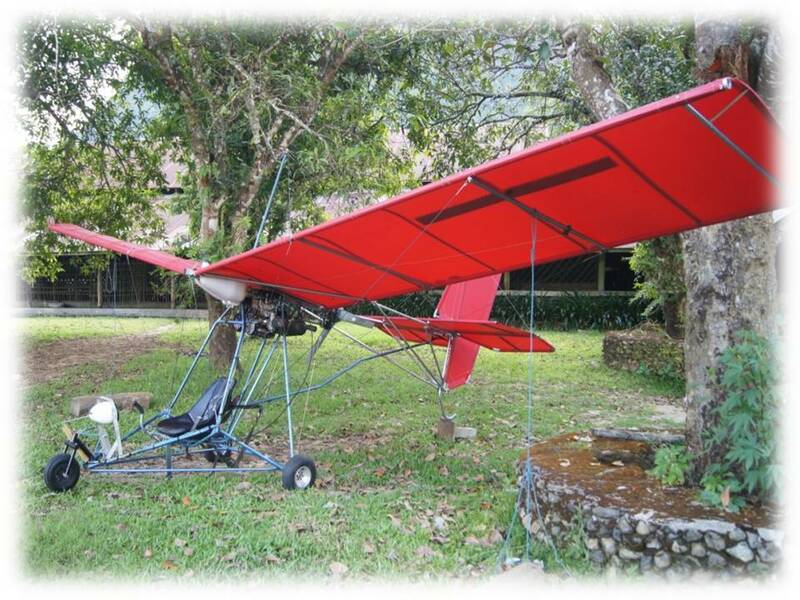 But God saw fit to land the plane safely at Sunshine Orchard. Upon inspection we found a few nuts and bolts missing and a few other parts as well. So we put in an order for the necessary replacement parts from America, and waited and waited. Finally all the parts arrived. After Travis thoroughly inspected the plane we took it out for it’s first “drive”! Travis has been flying since he was 9 years old, and his father, Leroy, has been flying since he was eight. So they are both very experienced pilots. I on the other hand have never flown anything bigger than a kite! It has always been my dream to be a missionary pilot. Finally it looks like my dream might be fulfilled. The needs however are many. It is not cheap to keep an aircraft well maintained and airworthy. There are maintenance needs and fuel! We have also done some calculations and it has become evident that a second plane is essential. The reason is that a single ultralight can only carry one other person and very little luggage. If we are going into the jungles of Thailand we will need to have at least two planes in order to carry the load and people. We are confident that if God could send us a first plane that He can send us a second one as well. We are also confident that He will use the necessary people to supply the funding to keep these planes in the air. Please visit my web site to see pictures of the plane and places we have been to. We hope you are blessed as you remember us in your prayers. We thank you for your support and words of encouragement. Click here for pictures. A second aircraft – The cost to purchase a second plane in kit form will be about $20 000.00 (including customs and shipping). We do however have someone who is willing to purchase the necessary parts and to put the plane together for us in kit form for a lot less. He will be able to custom build a plane for us for $8 000.00. This is a lot less expense and we would be able to have the plane custom built according to our needs. A hanger – Currently we do not have place to store our plane, and we need to have a workshop area for maintenance of the plane. 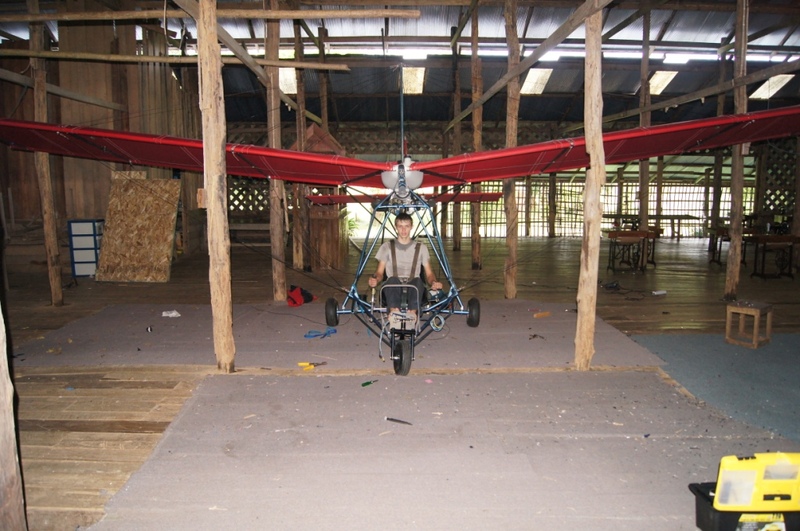 With the help of the local people we are able to build a hanger for two airplanes complete with workshop facilities for $2 000. Fuel and maintenance – We are planning on flying 3 trips a week to remote villages. The cost for fuel and maintenance per month would be $500.00 per plane. Training – Although we have been given permission to fly the plane without a license by the General in charge of Aviation for Thailand, we would still like to comply more fully with the laws of the country. In order to do this we will need funding to complete the necessary 20 hours of flying and examination fees. The cost per person is $4 000.00. (Both Travis and myself need to complete this course). There is another alternative which does prove cheaper. If the Lord did see fit to supply us with a plane, then we would leave the plane in Bangkok and do our flying lessons with our own plane. This will drastically reduce the costs. We would then be looking at $800 per person. Should you feel that the Lord is placing a burden on your heart, to support this ministry in some way or the other, then please visit our “Needs” page where more information will be given. We trust God will guide you as you prayerfully consider assisting this project.